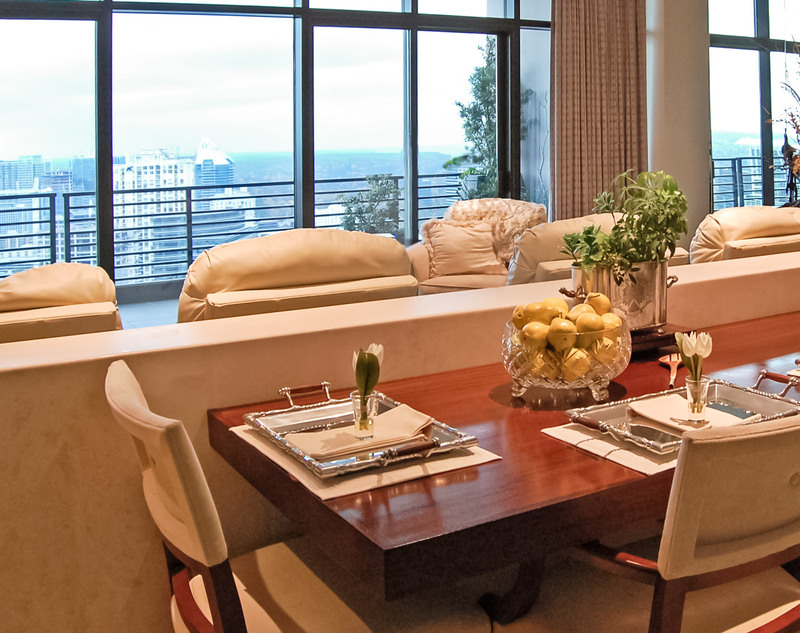 Ca’Shae Interiors helps Atlanta homeowners bring their homes to life. “Loving Your Space” is Catherine’s personal motto for Ca’Shae Interiors and is her guiding passion when working with her discriminating clients. Please take a moment to review our client testimonials featured below. We could not be more pleased with Catherine and Ca’Shae Interiors. What we somewhat dreaded as a long distance custom build turned out to be one of our most enjoyable family experiences. Our use of Catherine’s services started out limited at ground breaking but grew to 100% full service, trust and reliance as we realized her expertise. Our home took on an appeal that expressed our vision for the home but came together far better than our ability to create. What we also found out after touring other homes that Catherine assisted in designing was that she didn’t help us recreate her favorite design or current trends; rather, she helped us design “our” home. We have been working with Catherine for years. She’s a versatile interior design and decorator with an impeccable eye for detail. Catherine has a real talent for pulling a space together and to perfection. We highly recommend working with her. 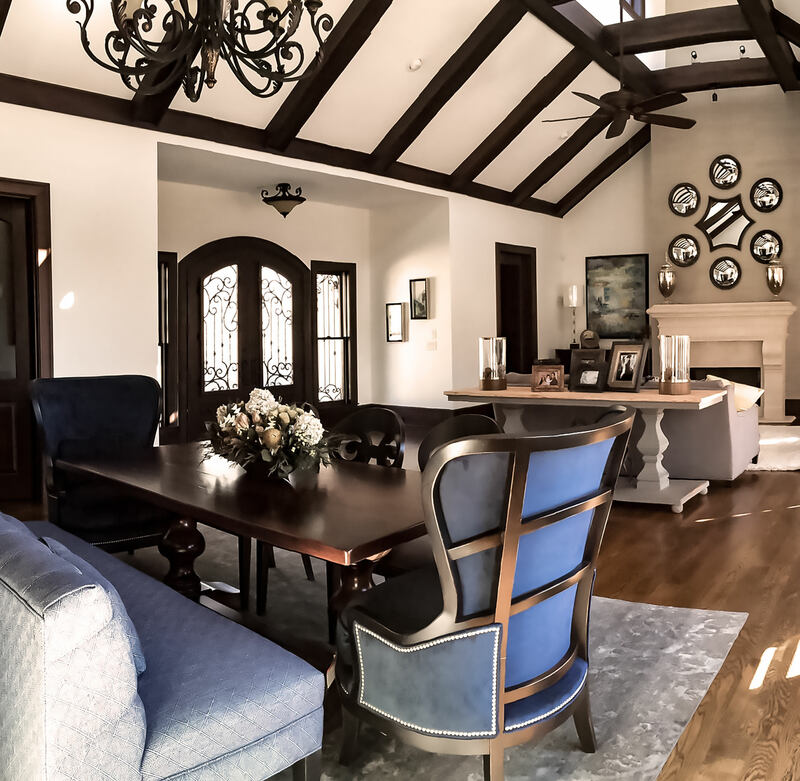 Choosing Ca’Shae Interiors was the best decision we could make for our new-old home’s complete remodel. Catherine’s resources and contacts are superb. In addition and most importantly, her experience, her flair for color combinations, and her commitment to our project was unparalleled. She listened to even the most unusual of requests and offered advise based on her many years of experience. It’s been a bit more than a year since the completion of the project and we continue to enjoy the fruits of Catherine’s efforts every single day. We love what she did for our 1981 new century designed ranch. I would highly recommend Catherine Talkington for any decorating project—large or small. My particular situation was a remodel of my house that had not been updated for 20 years. Catherine was able to visualize what was in my mind and to incorporate some of my old pieces into a new and updated look. I was totally pleased with her vision, her knowledge of products, her contacts—everything from where to get particular pieces of furniture to accessories, and art. She is very honest and has a great work ethic. Nothing seemed to phase her and she understood much better than I what the finished product would look like and would reassure me when I had doubts. …Catherine found the perfect balance of color, texture and scale. Catherine did a whole house remodel for us and we couldn’t be more pleased (actually…overjoyed)!!! We literally turned everything over to her. Our house now feels like a home. It’s comfortable, peaceful and liveable. Her vision and ability to see things “as they could be” is special. How she took her original design when we bought, into our updated design last year was unbelievable. The day we walked into our new home with what she had done originally brought us to tears, but this latest design was even greater. Her use of colors throughout the house combined with certain accent colors, her eye for the little things like rugs, lamps, chandeliers, hardware, and furniture are things that one never thinks about yet make so much difference. She totally transformed a home we totally loved for the first 10 years into what seems like a new home that we will love even more now and in the future. And most important, during the process we always had an idea of what was happening and time frames involved, what inconveniences may be around the corner and how long they would last. She was on site every day to oversee and make sure everything went as she wanted. Her talent speaks for itself in everything she does around your home, and her pride in how the finished product looks makes you feel as if it is her home, not yours. We feel very lucky and blessed to have Catherine as our designer. We value each and every client and appreciate their reviews. Please take a moment to view our client reviews. If you have any questions or would like to schedule a design consultation, please call Catherine at 770.315.9432. We have been working with Catherine for years. She’s a versatile interior design and decorator with an impeccable eye for detail. Catherine has a real talent for pulling a space together and to perfection. We highly recommend working with her. We have a wonderful new Great Room with great coordination from Catherine.. She worked hard to use some of our pieces to work with the new upholstered pieces and our wall colors and rugs. Her choice of new accent pieces are stunning and have had us receive many compliments. If I had to pick one word to describe Catherine Talkington’s command of Interior Design, I couldn’t do it in just one word and maybe not even in 100! I enjoyed working with Catherine and learned that she is reliable, honest and has an incredible natural talent and sense of design. I cannot say how pleased I was after she finished the first room in the house and the zeal I felt to get her to take charge and decorate many more rooms, right away. 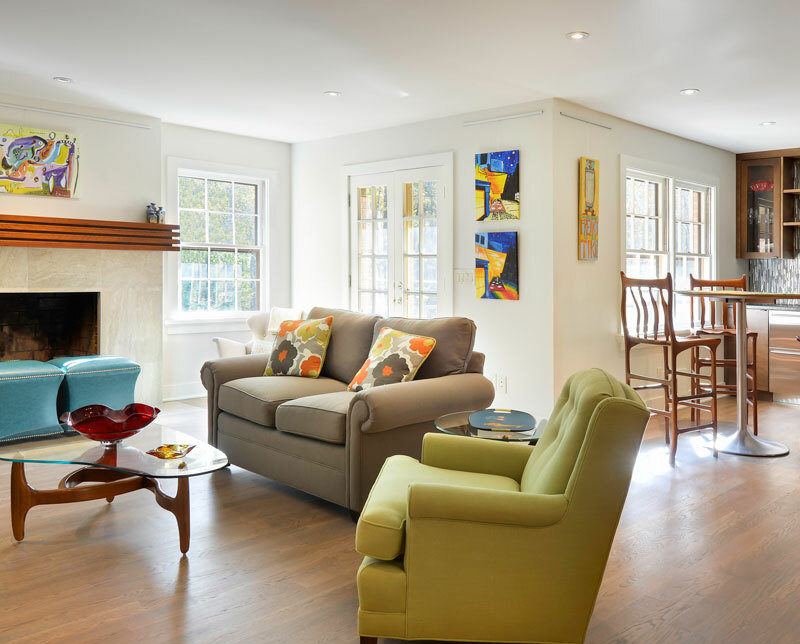 Catherine and her team excelled when working in one spare bedroom — to overseeing the renovation, furnishing and design of 2500 sq ft of my lower level. This gave me an opportunity to see Catherine’s talents expressed in many ways as she finished a Big Screen TV living area, pub-style bar, bathroom, office, poolroom and fireplace room. If you choose Catherine Talkington – you will enjoy years of family, friends and anyone who enters -expound that it is the most beautiful unique work they have ever seen. We had a major house remodel on our main level and basement done in the Fall 2010/Winter 2011 seasons. We then worked with Ca’Shae Interiors in the Spring of 2011 and were very pleased. Catherine Talkington worked her magic and turn our remodeled house into our new home. Catherine worked to understand our vision at our first meeting and built a relationship with us. She is prompt, courteous, professional and has a great eye for design and color. She kept a large binder of her ideas and our input and the samples we chose. The project was extensive covering our living room, dining room, kitchen, master bedroom and our walk in closet. She took our ideas and made them even better and was a joy to collaborate with. Throughout the project Cat took leadership for moving the progress along and at times connected us with reputable organizations (window tinting, window blinds, etc.). She always checked back to see if we had been satisfied. Cat returns phone calls, shows up when she says she will, and spends the time needed to make the client feel like the project is a dream and not a nightmare. On the final day, when everything was ready, she asked us to leave the house for the day so she could bring in her crew and do the installation. We arrived back at home later in the afternoon and it was like something that you see on TV, the home owner walking in the front door and not believing how wonderful everything is! I highly recommend Ca’Shae Interiors. Cat started out as a designer and became our friend. This was a awesome experience for us! Around 1998, Catherine Talkington started working with us by transforming our new House, into a HOME. Catherine demonstrates a cornucopia of design talent! She really knows: fabric, furniture, accessories, window treatments, what goes with what and I could keep going… The ‘feel’ of our home is primarily French and Italian. Catherine guided us with items, furniture, fauxing, etc. in order to keep the integrity of our home. She will remain our Friend, for many more years to come. Catherine Talkington is an extremely talented professional with an eye for design. She has wonderfully transformed our home into spaces that reflect the individual characteristics of our family’s many members. From the tropical zen of our main living quarters to the petite palace for our pint-sized princess, Catherine has spared every attention to each little detail. With the patience of an angel, she has waded through the eclectic and somewhat eccentric tastes of my husband to create a home that is both fashionable and functional. In conclusion, I highly recommend Catherine Talkington and Ca’Shae Interiors for her expertise and ability to transform any space into warm and welcoming atmosphere! As owners of Muse & Co., a Fine Art Gallery in Roswell, we have been working with Catherine for the past 5 years. She is a pleasure to work with and is very professional. We love her style as it works well with the artists that we represent, ranging from transitional to contemporary styles. 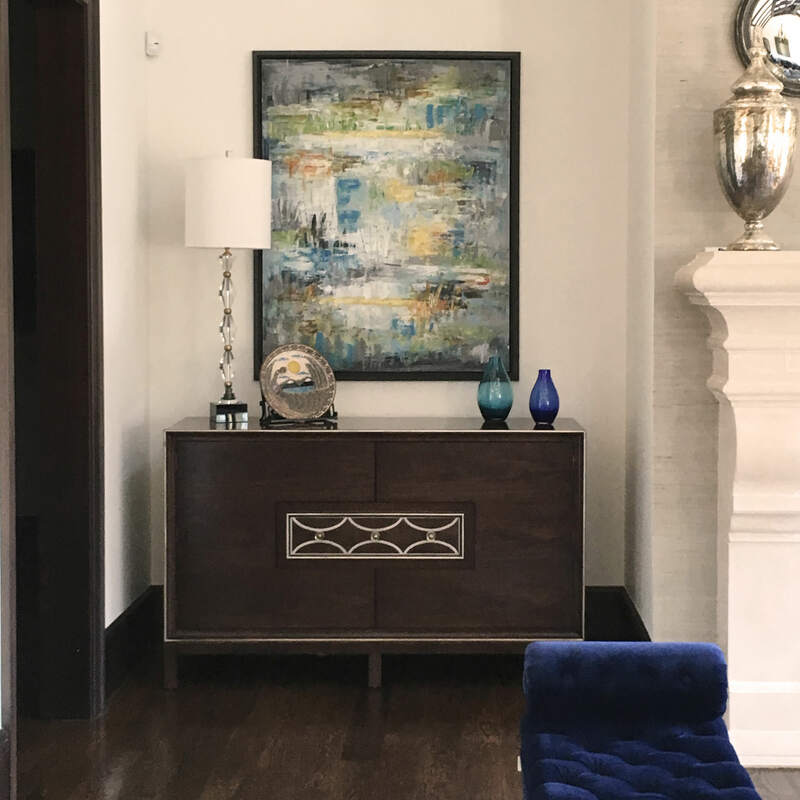 We have collaborated with Catherine in many of her residential and commercial design projects and the clients are always inspired by her work. Most of all, they love the space she creates for them. We look forward to many more projects with Catherine! Catherine is such a joy to work with. Her passion and hard work show with every design she has completed for us. With every project she has listened, processed and enhanced our vision. We truly found a treasure in Catherine. I have never worked with an interior designer before and Catherine has completely changed that for me!! I had the best time working with her!! Catherine really took the time to see what my vision was and provided me with other options as well. She has an incredible eye for design and worked with my budget. I constantly get compliments on my kitchen renovation. She puts all of herself into a job and it shows! I look forward to working with her for many years to come. I have worked with Catherine on several projects through out my house. Our largest project was for my family room. She gave it a modern sophisticated look that I just love. Next we tackled the master bedroom and bathroom updating the wallpaper, bed covering and paintings. Our last project was the kitchen. Changing the counter tops, door handles, flooring and the wall paper brought a new joy to my working in the kitchen. Catherine is great to work with. She has great style and an easy manner. Ca’Shae Interiors specializes in Residential New Construction for our clients in Atlanta, GA and South Carolina. Ca’Shae Interiors welcomes the challenge of complete home renovations including single room makeovers! 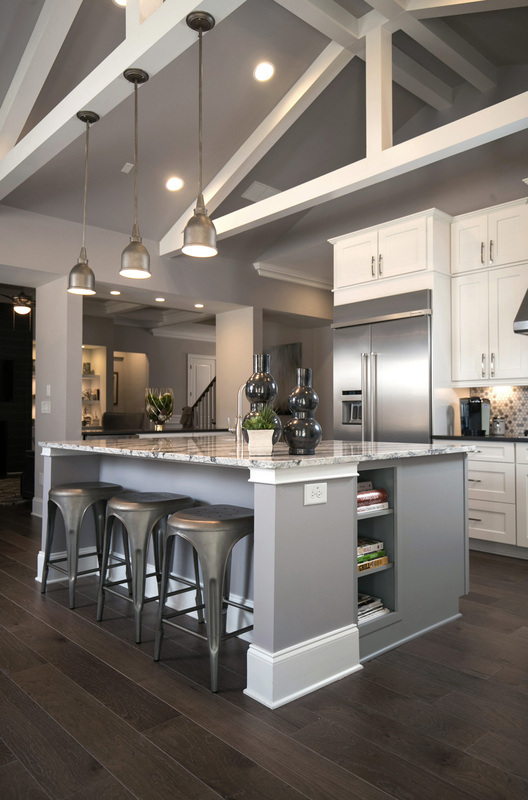 Ca’Shae Interiors provides comprehensive Interior Design Services for residential homeowners including Kitchen & Bathroom remodels, Interior Furnishings, Room Make-overs, and Window Treatments.